Guy J returns to Bedrock with his latest release, which has been a highlight in his sets for many months. ‘Candyland’ is a good example of why Guy’s productions are proving popular, with its restrained, euphoric, sound flowing into an ever-blossoming journey as it weaves its slow-build progression. 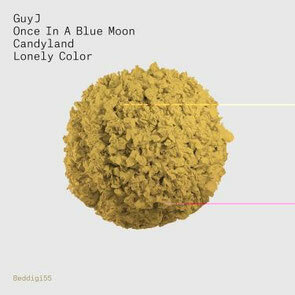 Bedrock has sandwiched ‘Candyland’ between two additional tracks from Guy J – a recent live favourite, ‘Once In A Blue Moon’, along with ‘Lonely Color’, with its deep throbbing core, laced with subtle melodic flourishes. Each track shows Guy J’s production skills and style and should do well with those who like their music on a deeper, progressive and less commercial tip. It's out now, check it out below.